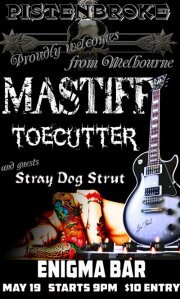 MASTIFF, PISTENBROKE & TOECUTTER @ ENIGMA BAR. 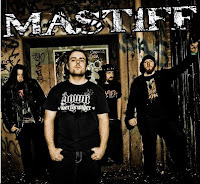 HARD AUSSIE ROCK band from Adelaide, South Australia. Stray Dog Strut are from the southern suburbs of Adelaide are a unique blend of funk, punk and metal.